Started cleaning the pool and was about to fire up my pump but noticed water was leaking. I found the replacement On Intexs website, but i wanted to know If anyone knew where else i could get one because intex support is slow and was wanting to get this fixed asap. Will the Intex hose connect directly to the pump without the basket installed? If so, you could probably get by for a while without it as long as you have a skimmer in the pool. The purpose of that thing is to keep debris from getting sucked into the pump and damaging the impeller. 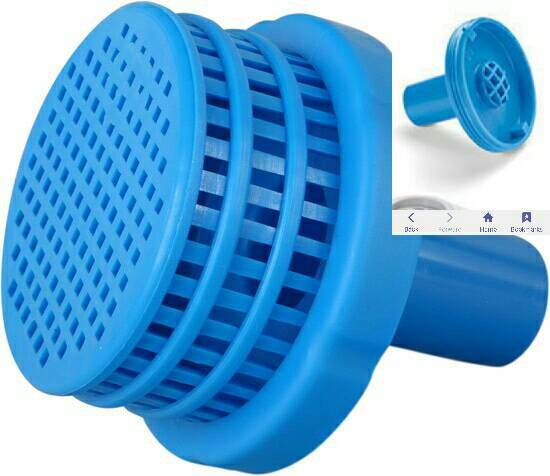 But if you have a skimmer basket in the pool, nothing big enough to do any damage should get past that. Thanks for the reply, yeah 2 inlets to the pump with these. I think you would be okay with those. Nothing of any size will get past them. Now the only question is, will the hose attach directly to the pump? From what I remember, it looked like the same size connection, 1.5". Btw, where in OK are you located? I replaced my Intex pump last year, and don't recall if I saved the filter basket off of that one. I haven't opened up my pool yet this year, but if you're nearby I'll dig thru my pool stuff and see if i still have it. If so, you're welcome to it.